Developed and manufactured by Harris. 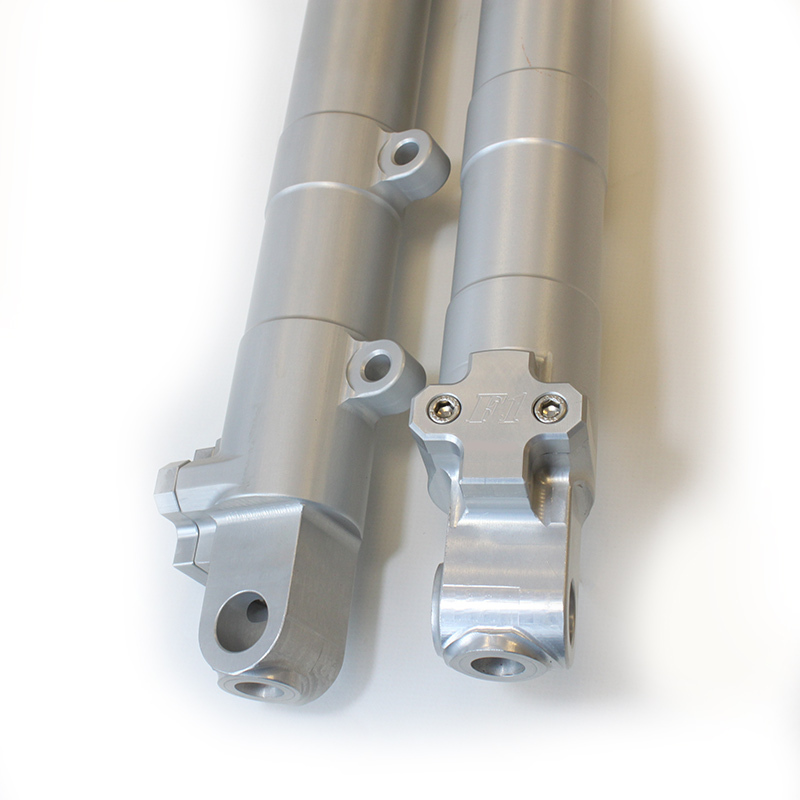 These fork legs are the perfect solution when building a Classic Superbike, whether for road, race or track day. 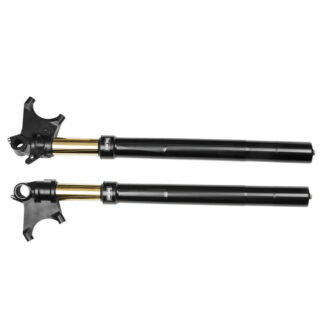 These forks, of era, are the choice of many top Classic racing teams and riders and are supplied as conventional “Right Way Up” or the more current “Upside Down” format. 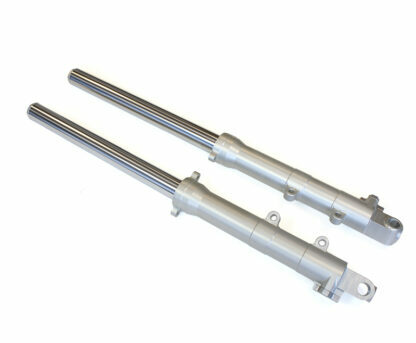 The 41mm and 43mm fork tubes are manufactured specifically for this application, hard chrome plated and ground to size. 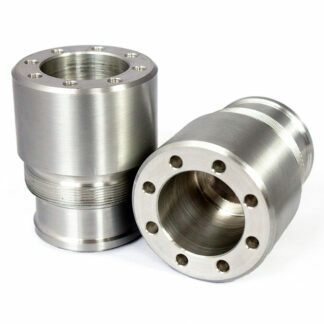 The bottoms are machined from billet aircraft quality aluminium and anodised finished. 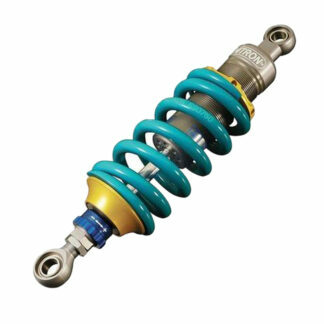 The internals are race track proven Ohlins 30mm Nix kit, offering finite adjustment and compression and rebound damping adjustment. 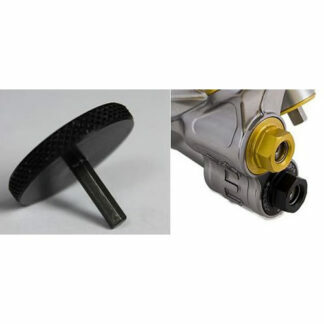 All component parts are manufacturers OE specification and fasteners are stainless steel. The Right Way Up fork bottoms (41mm) have lugs machined into them to facilitate both the fitting of brake calliper ***carrier plates to accommodate your choice of brake calliper and brake disc set up, and fork brace/mudguard fitting. 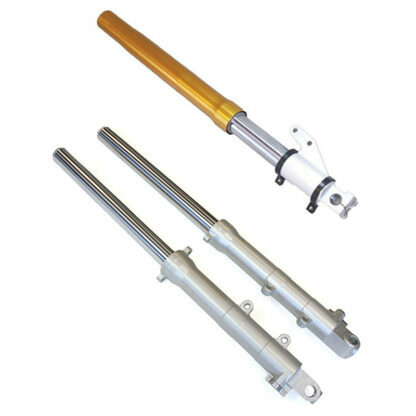 We can supply handlebars, yokes and wheel spindle and spacers to compliment these fork legs, and where applicable bespoke ***calliper carrier plates. 43mm fork legs length can be built from 726mm-736mm long, with 120mm-130mm of stroke. 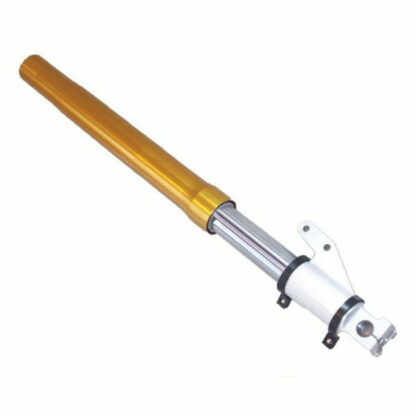 41mm fork legs length can be built from 767mm-777mm long, with 120mm-130mm of stroke.